Cleopatra Plus Online Slot: Level Up to Unlock New Pay-Boosters and Other Bonus Features! Cleopatra Plus is an IGT online slot in which players can access eight (8) different game levels by collecting icons of an Egyptian Deity Follower. The greater the number of Follower images appearing as outcomes of base or bonus plays, the quicker one gets to unlock the succeeding stages. The Bonus Game features a Map, in which every location holds a prize. In order to to collect any of the Map Bonus Rewards such as Extra Spins, Win-Multiplier, or Instant Cash Wins, Cleopatra Plus players must select a Location in which to deploy a set number of Followers. The number of Followers to deploy depends on the Bonus Game Level awarding the item. The Cleopatra Plus (CP) Game Logo is the Wild Symbol and configured as Stacked Wilds in all reels. The Logo icon may appear in whole or in part as Stacked Wilds. If any CP Logo Wild in view becomes part of a payline win via substitution actions, the corresponding payout of that particular win will be doubled (2x). As the CP Wild may appear in multiples after any spin, the totem can form its own winning combination. Wild Pays on three, four, or five of such symbol are 50, 250, or 1500 coin credits, respectively. 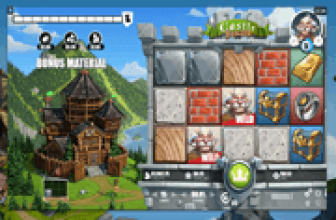 Three, four, or five of the Follower images initiate the activation of the Free-Spins Bonus Round. A set of five (5) bet-free spins and 1x Multiplier will be awarded as initial Bonus Rewards. In addition, players are provided with 3 or more Follower icons to deploy in any Location presented by the Bonus Game Map. Once in place, the Map Locations reveal Free-Spins, Multiplier, or Scatter Win Increments. The corresponding reward of a Location in which a Follower icon was placed will then be awarded. Scatter Wins Coin Credits of 1, 3, 10, or 50 multiplied by the Total Bet are accordingly awarded on every 2, 3, 4, or 5 Follower icons triggering the Free-Spins Bonus Game. Level 1 – Unlocks the Alexandria Bonus Map. Level 3 – Unlocked by 120 Followers. A new Bonus Symbol represented by an icon with 2 Follower images will appear in Reel 5. This symbol is equivalent to 2 Followers, and can combine with the solo Follower totem to complete a Bonus Game/Scatter Win combination. Triggering the Bonus Game with this new symbol earns players one additional Follower to deploy in the Bonus Game Map. Level 4 – Unlocked by 200 followers. Three new Deities will appear, to come into view as Stacked Symbols when chosen as theme of the game. Level 5 – Unlocked by 350 Followers. A new Bonus Game icon, displaying 3 Followers will appear in Reel 5. Its appearance adds 3 units to the collection meter. A Bonus Game trigger combination that includes this new symbol adds two (2) Bonus Game followers to place in the Map. Level 6 – Unlocked by 600 Followers. 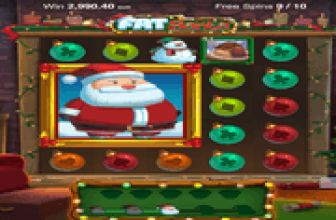 Activates the Last Spin Multiplier feature, which applies a high value Multiplier to the winnings gained from the last free-spin of that bonus round. Level 7 – Unlocked by 900 Followers. The Bonus Game Map expands with the addition of the Pyramids of Giza Map, which contains the highest possible rewards awarded by the Bonus Game Map. Level 8 – Unlocked by 1250 Followers. A Super Spin Feature becomes available as Bonus Reward in any of the Bonus Game Locations. 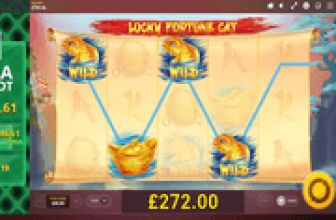 A Super Spin is played on bonus reels enhanced with huge stacks of Cleopatra Plus Wilds. Cleopatra Plus online slot awards exciting real-money betting rewards that tend to increase with every Game Level progression, of which there are 8 levels in all.